Theresa May and Leo Varadkar arrived at Stormont with talk of an imminent deal to end 13 months of stalemate between the DUP and Sinn Féin. The media was dominated with speculation that the DUP was on the verge of accepting a form of an Irish Language Act (ILA). The idea of a three-strand act was on the table. However, it seems that Arlene Foster was unable to sell the deal to her party’s grassroots and sections of the leadership. Talk ‘on the streets’ was of a DUP ‘sell-out’ on an ILA. Arlene Foster had pledged there would never be an ILA. The level of vitriol with which leading DUP figures opposed an act has resulted in a majority of Protestants opposing its introduction, fearful that Northern Ireland’s Britishness would be “hollowed out” and that the ILA was part of Sinn Féin’s strategy towards a united Ireland. A 13-page draft agreement leaked to the media indicates clearly that the DUP and Sinn Féin were close to making a deal. On BBC Spotlight, presenter Noel Thompson suggested to DUP MLA Edwin Poots that there was “good work” in the document, to which Poots replied, “Absolutely – I did a lot of it so I’d expect it to be good.” Within days, the DUP had gone from stating there was no draft agreement to one of its senior negotiators admitting that he actually was one of the authors of this non-existent document. Both Sinn Féin and the DUP have spent the last year heightening sectarian tensions in order to rebuild support amongst their respective communities. For ten years in government, the DUP and Sinn Féin presided over economic decline and an austerity agenda which has devastated public services and working-class communities. Both parties maintained and increased their support on the basis of being the ‘best’ opponents of the ‘other side’ and on consistently promoting sectarian division and fear. They are now both victims of the ‘success’ of their sectarian campaigns. In the draft agreement, it is clear that Sinn Féin were preparing to abandon many of their so-called ‘red lines’. Their demand that Arlene Foster could not be the First Minister while the RHI Inquiry continued was dropped. The draft agreement contained nothing of significance on marriage equality. Talk of this issue being dealt with via a private members’ bill is back to business as usual. 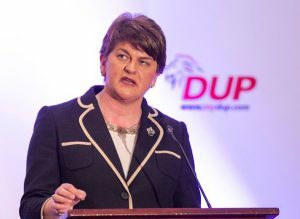 A private members’ bill to the Assembly was previously scuppered by the DUP’s use of the Petition of Concern (PoC) and the draft agreement made no changes to how the PoC could be used, other than requiring the setting up of a committee to “review the ways in which it might be adapted”. In light of what was in the draft agreement, Sinn Féin’s repeated talk of “no return to the status quo” sounds very hollow now. The rights of the LGBT+ community were to be sacrificed on the Sinn Féin altar of pragmatism. The DUP and Sinn Féin refused to comment on the potential content of an ILA, with the DUP denying, even after the draft agreement was in the public domain, that they were even contemplating agreeing to such an act. By remaining silent, they allowed myth and rumour to dominate the debate on the airwaves and in social media. We now know why the parties were so reluctant to publicly comment. Sinn Féin were fearful of the potential reaction from their supporters to the abandonment of so many of their so-called ‘red lines’ and the DUP were anxious of the reaction they would receive from their voters to their volte face on the ILA. Interventions in the media by the UUP, the TUV and the Irish language groups in the days preceding the collapse of the talks hampered the DUP and Sinn Féin’s attempt at securing a deal. A representative of Conradh na Gaeilge specifically stated that an act should mean that street signs in predominantly Protestant areas such as the Shankill Road and east Belfast should be in Irish and quotas for jobs in the public sector for Irish language speakers should be introduced. When Sinn Féin and the DUP failed to contradict these comments, they became grist to the rumour mill and seemed to confirm Protestant fears. As the draft agreement indicates, these fears and rumours were totally unfounded, as the ILA Sinn Féin were preparing to sign off on was very much a watered-down version of previously stated objectives and nothing like the Welsh Language Act, which Sinn Féin had held up as their example of what was needed in the North. The Socialist Party supports legal protection for the Irish language, Ulster Scots and other minority languages. State funding should be provided to facilitate all those who wish to learn and use these languages, as well as funding for the development of the cultural aspects of these traditions, such as literature, music and dance. We are opposed to the turning of these issues into a sectarian football, including the degrading of any language or culture, which happens with both Irish and Ulster Scots. 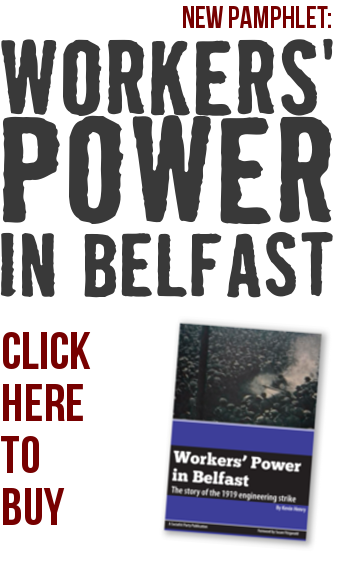 A return to direct rule? The DUP are demanding direct rule from Westminster as a way to increase pressure on Sinn Féin. An imposition of direct rule will escalate the crisis. Sinn Féin, the SDLP and the Irish government have all said they are not prepared to accept it. Instead, they are insisting on a form of joint direct rule, whereby Dublin would have a role alongside Westminster in governing the North in the absence of a power-sharing administration. 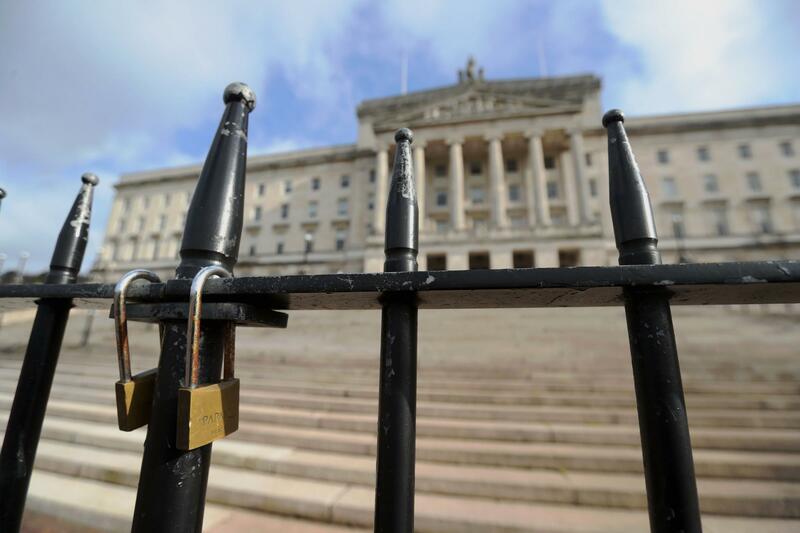 A direct role for the Dublin government in the governance of Northern Ireland would be opposed by a majority of Protestants and the DUP would be prepared to bring down the Tory government to stop it. However, no form of direct rule can be implemented without consequences. British direct rule would be seen by the majority of nationalists as imposed by the Tories the behest of the DUP. Most likely, for the time being, we will have a continuation of a form of ‘direct rule light’ that keeps government ticking over in the hope that the basis for a renewed talks process can be found. 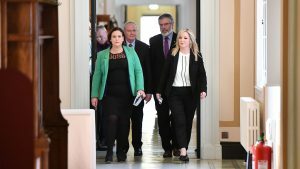 If this doesn’t materialise, then the British and Irish governments may look towards a new, more substantial talks process of the calibre of the St. Andrew’s or Stormont House agreements – although, this time it may have more of the character of a fundamental renegotiation of the Good Friday Agreement, a process which would be fraught with many difficulties. The only way forward for our society is for working-class people, Protestant and Catholic, to ­unite around the common issues that plague their lives and to struggle to build a political alternative to the sectarian parties. If we had a genuine, mass and cross-community party of the working-class, it could unite ordinary people in a struggle against the attacks on our public services, for housing and free education, against zero-hour contracts, for decent pay, marriage equality, abortion rights and for equality for all. The DUP and Sinn Féin are part of the problem, not the solution – working-class unity is the way forward.